How much is Nipsey Hussle Worth? Nipsey Hussle Net Worth: Nipsey Hussle was an American rapper who had a net worth of $8 million dollars at the time of his death in 2019. He was born Ermias Asghedomon on August 15, 1985 in Los Angeles, California. Nipsey Hussle's first mixtape, Slauson Boy Vol. 1, soon became the name of his own record label. In 2008, after signing with Cinematic Music Group and Epic Records, Hussle released two mixtapes, Bullets Ain't Got No Name, Vol. 1 and Vol. 2. In 2009, his debut single Hussle in the House was released, along with a third mixtape entitled Bullets Ain't Got No Name, Vol. 3 that same year. 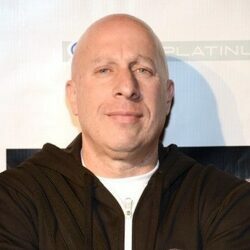 He has collaborated with the likes of Drake and Snoop Dog and in 2010 he appeared on the song We Are the World 25 for Haiti. That same year he was chosen as one of XXL Magazine's Annual Freshman Top Ten, a selection of ten up-and-coming artists. Hussle was released from Epic Records in late 2010 and founded his own record label, All Money. In 2013, Hussle announced the release of his new mixtape, Crenshaw, which would feature guest appearances from Rick Ross, Dom Kennedy, Slim thug, James Fauntleroy II, Z-Ro, Skeme and Sade, among others. He finally released a major studio album called Victory Lap in 2019. The album received wide critical acclaim and was nominated for a Grammy for Best Rap Album. Hussle has a daughter named Emani but is not in a relationship with Emani's mother. Nipsey began dating actress Lauren London in 2013. They welcomed a child together in 2016. Tragically, Nipsey Hussle was shot to death on March 31, 2019 outside of his Los Angeles clothing store. He was 33 years old. 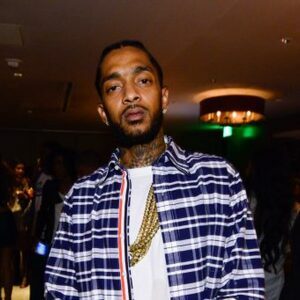 Nipsey Hussell Net Worth at Death: At the time of his death in 2019, Nipsey's net worth was $8 million. His estate was strong enough to reject several crowdfunding pages that popped up to support his kids. Nipsey's family politely declined the fundraising efforts, even from fellow celebrities such as Reggie Bush, because his kids are reportedly set for life. Thanks to wise financial planning and trusts set up before his death, Nipsey's children will never need to rely on other people for money. Perhaps most importantly, he owned all of his master recordings which could provide a lifetime of income.